Greetings! I had a post planned for today, but it was not a very bright polish, and after the snowy weather this weekend, I felt like we all needed something bright. Did you get any snow? I think we got 5-7ish inches here on Saturday and then Sunday was gloriously sunny. 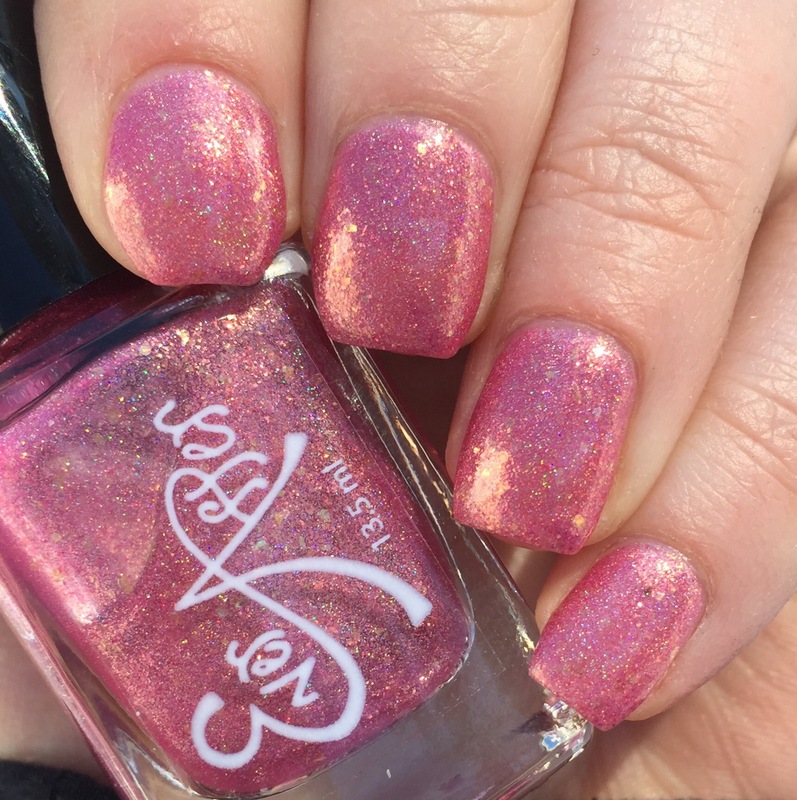 With all that sun glinting off the snow, I couldn’t help myself but to slap on some holo for your viewing pleasure. You might catch a peek of my winter coat in some of the pictures- I was climbing all over the snow drifts to get the best holo-y angle and it was chilly out! As you can tell, the formula on this is fairly sheer. I used three coats here and you can somewhat see my nail line in the sun. It was less noticeable in person, but with the finish of the polish it seems intention rather than accidental anyways. This dried very smooth, even with the flakies, though I’m showing it here with a layer of Love, Angeline’s “Topped With Love” top coat. I always use top coat in my pictures because it makes everything dry hard super quickly- otherwise I go to take pictures and I immediately knock into something and ruin the paint job. I can’t be trusted not to ding my nails, even in my own home. 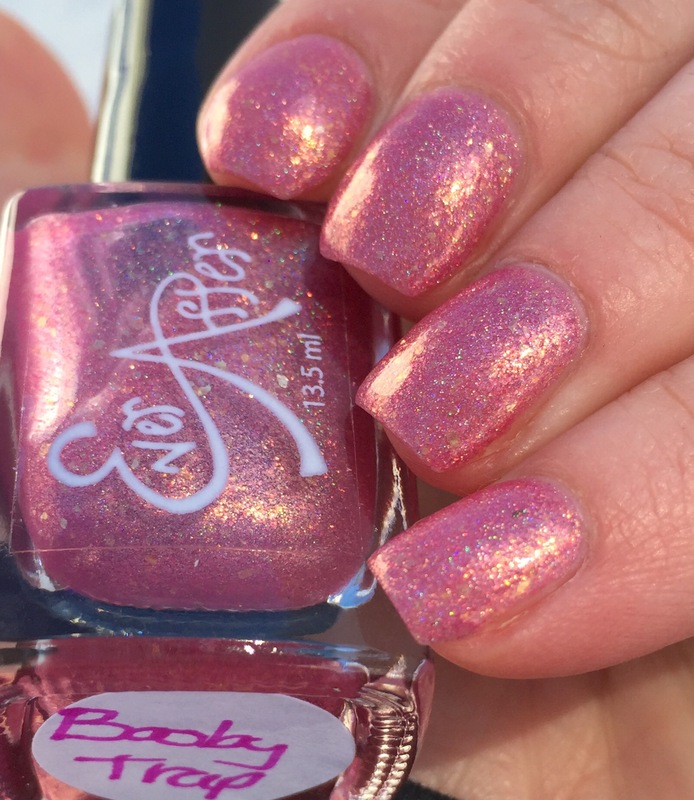 Booby Trap was a special polish as part of a 30th birthday of Miranda, the hand care maven at Ever After, so it is no longer available. However, if you are in some desperate need, I would peer around online for it or try your hand at a mystery grab bag. (I am always pro grab bag.) 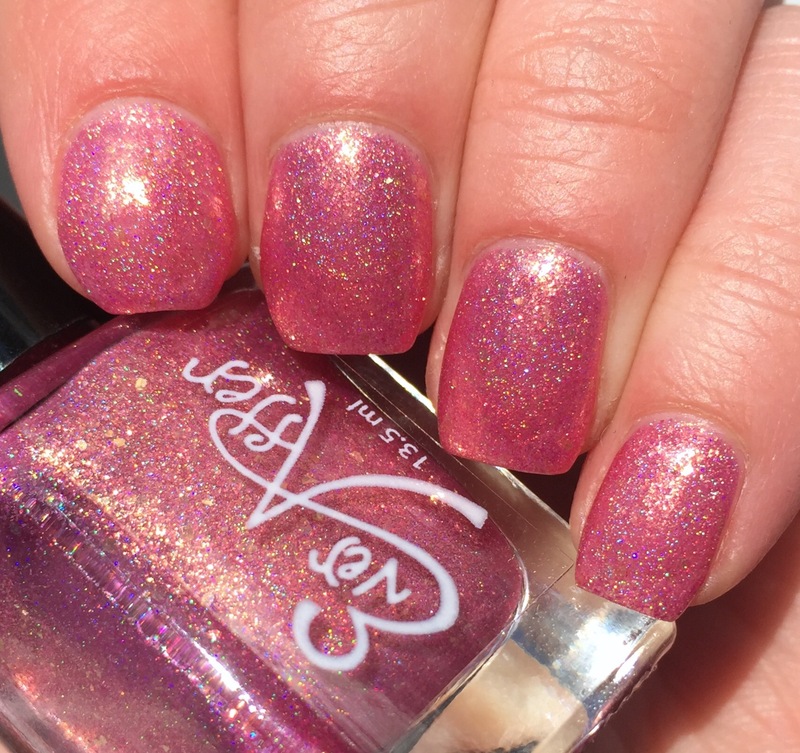 You can check out Ever After’s current offerings -including their awesome Cuticle Crelly– on their site. 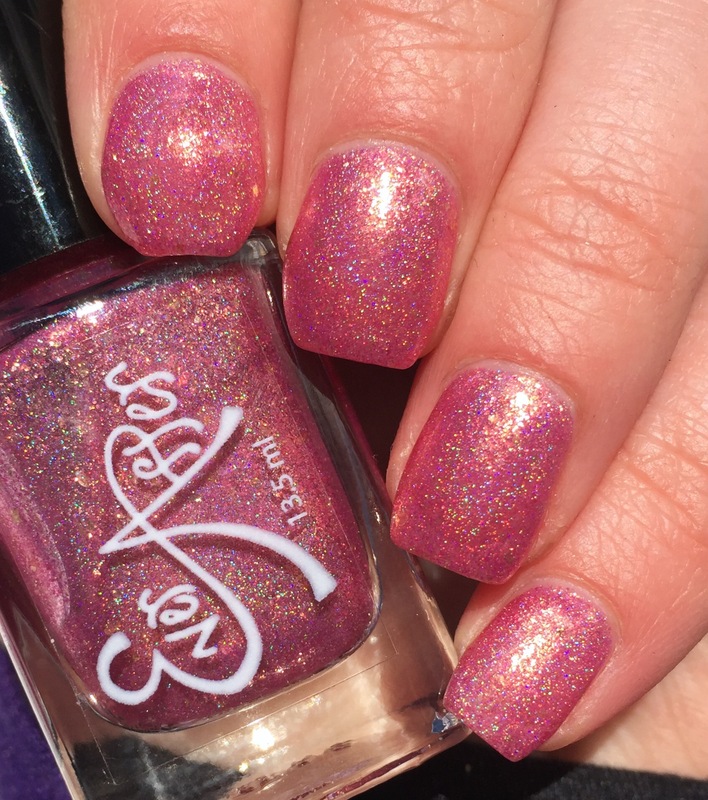 I have been really impressed with their holos and holo-flakie combos so far. Their shipping isn’t the fastest, but the owners are very good about checking in and giving updates of their Facebook fan page, which eliminates my need to obsess about having to wait a day or two extra. I also have to say that they have great one-on-one customer service as well. When I snagged this mystery bag, I also picked up a number of other items. Because I wasn’t paying close enough attention (typical), I accidentally messed up the order and frantically emailed trying to change things. They were super nice and took care of everything right away. Thanks guys! No one does flakes like Ever After!! 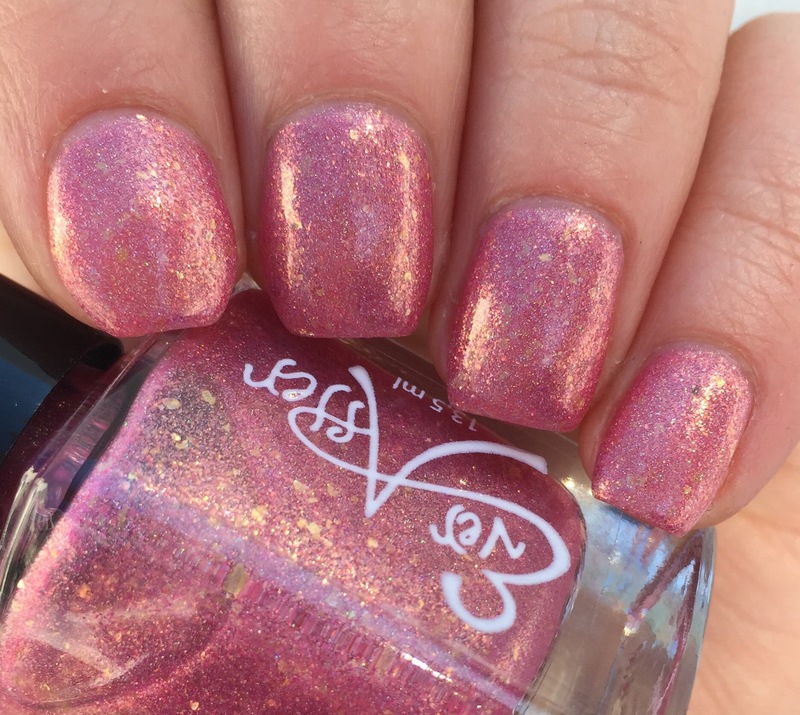 such a lovely rosy shimmer! That macro *drool* Such a gorgeous polish! Thankfully no snow here- I can’t do the cold! This is a lovely polish! I love the flashes of gold! 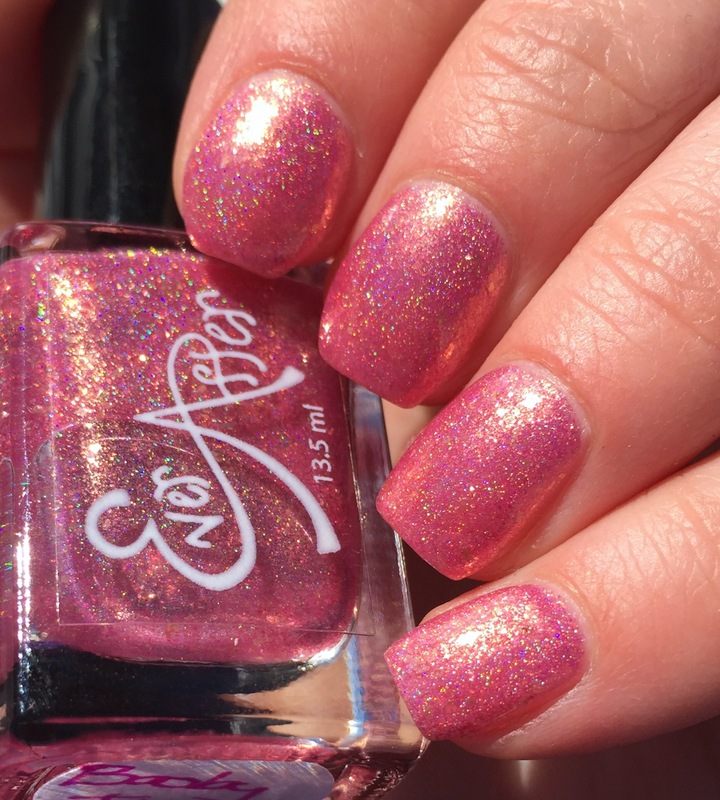 what a gorgeous polish! excellent shots of it, too!